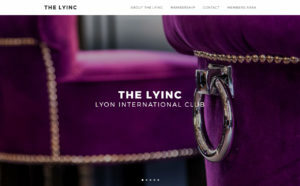 We are very pleased to present you the new Lyinc website. We’ve been working hard to make it as nice, modern and intuitive as possible and would love to hear your opinion about it in order to further improve it. Give us your ideas and feedback! Below you will find a user guide with the most frequently asked questions. Don’t hesitate to contact us for any additional help you might need. • In the members area, select “my profile” in the drop down menu below your name. • Click on the symbol on the top right corner and on “edit profile”. concerns. If you wish to make it appear on your profile, simply fill out the “contact email address” section. • In the members area, select “my account” in the drop down menu below your name. • Click on “account details”, scroll down, fill in your current password and your new password and click on “save changes”. • In the members’ area menu, click on “events”. Select the event you wish to attend by clicking on “book ticket”. • You may change the number of tickets you wish to purchase by clicking on “-” or “+” below “quantity”. Then, click on “proceed to checkout”. • Fill in your billing details, select “credit card” and click on “proceed to credit card”. • You will be redirected to a secured online payment platform. Next, simply fill in your credit card details and click on “validate”. • Click on “orders”. If you have already paid for your ticket, there will be an “invoice” link on the right that will redirect you to a PDF invoice.